The 588th Night Bomber Regiment of the Soviet Air Forces was no ordinary aviation formation. Formed in 1942, the 588th was exclusively staffed by female pilots, a total of 60 pilots and crew at its largest over the three years of its existence. 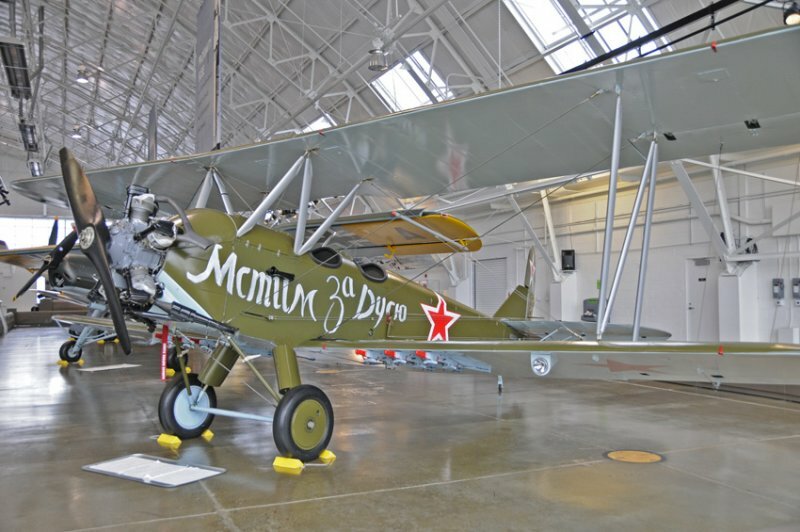 Pilots were assigned severely outdated and underpowered Polikarpov Po-2s, wood/canvas biplanes that were built as trainers, never intended for use as bombers. German aircraft scrambled to intercept the incoming biplanes weren’t able to shoot them down because their stall speed was higher than the maximum speed of Po-2s. That’s right… Messerschmitt Bf 109s and Focke-Wulf Fw 190s, two of Germany’s most powerful single-engine fighters, were barely able to take the defenseless Polikarpovs. A favored tactic of these fearsome aviatrixes was to retard the throttle to idle, then drift and dive in over the target, release their two bombs and then push the throttle forward and climb away. 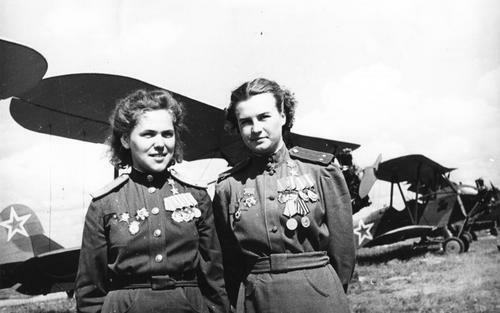 Because their engines were barely audible above the wind while idling, Germans on the ground found their sound to be something eerie like the sound of a witch’s broomstick, hence the nickname, the Night Witches. By the end of the war, its pilots had flown over 1000 combat missions apiece, 23 of whom were distinguished as Heroes of the Soviet Union.